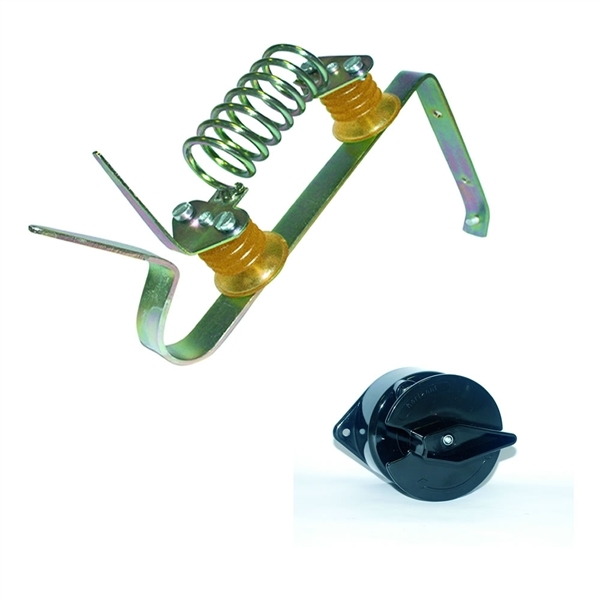 A lightning arrestor kit is, in our opinion a, necessary safety instrument for all mains electric fencing energisers. Your energiser is connected to potentially thousands of meters of electric fencing strung out over fields. If this electric fencing (tape ,wire or rop) is struck by, or close by lighting it will feed back up the fence lines and at best ruin your energiser, at worst set fire to it! The lighting arrester diverts the large power surge to earth, thus protecting the energiser and the building it is located in. An additional benefit is that the cut out switch can be used to turn your fence installation on and off.